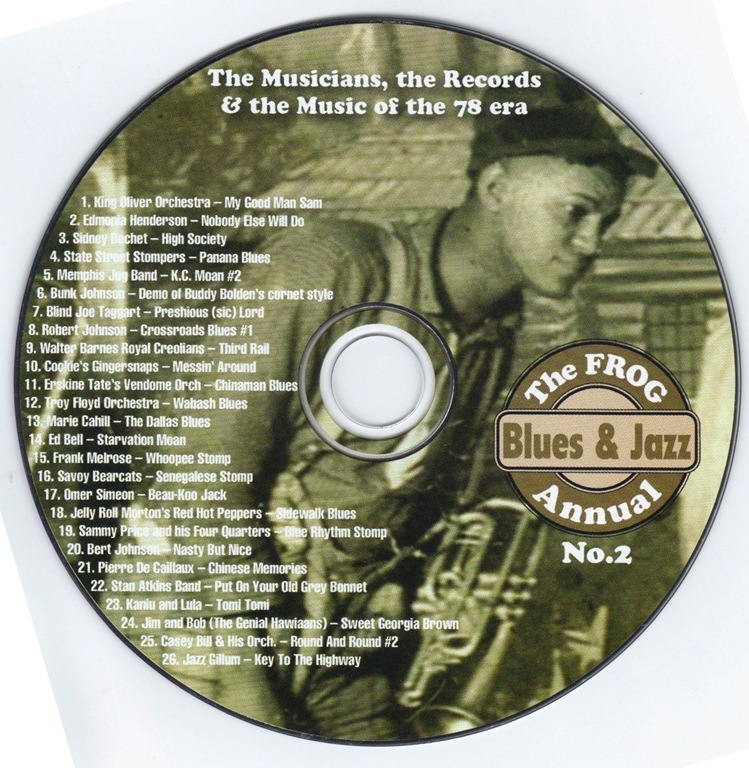 The 2011 Frog Blues and Jazz Annual #2 is now available and is, in a word, breathtaking. Because of its recent release, I will mainly focus on issue #2, although much the same can be said of the still-in-print (barely… only a few copies remain) initial offering, Frog Blues and Jazz Annual #1. 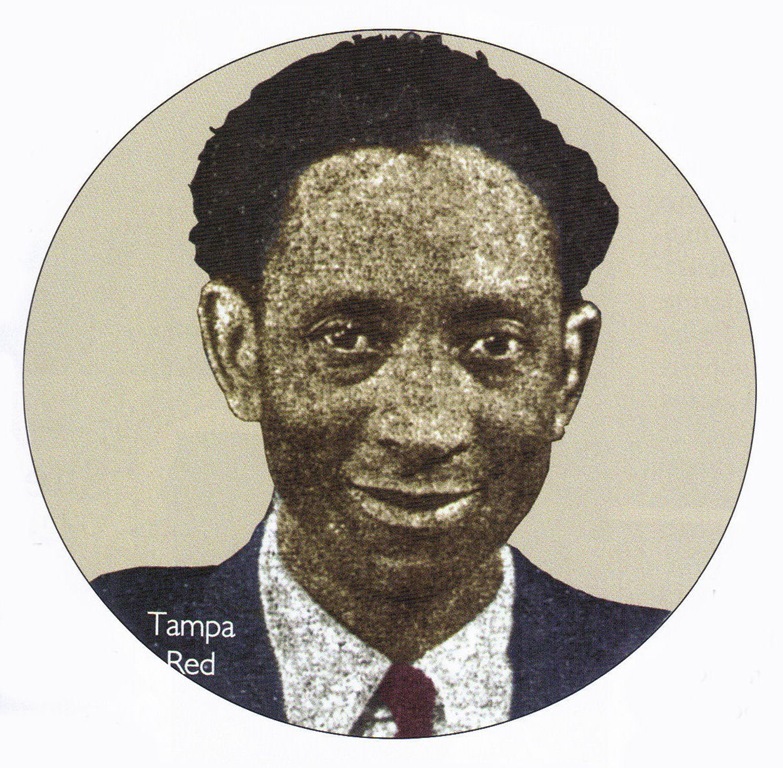 If you are a fan of pre-WWII Blues and/or Jazz, if you are a 78 rpm record collector, or if you are simply enamored of the musical history of the first half of the 20th Century and its vernacular art and culture, this is for you… Save yourself a little time, forget the rest of the blog – go to one of the links below and order your copies of the Frog Blues & Jazz Annual – these issues are not to be missed! Physically, the Annuals are substantial. Their size is something between a magazine and a softbound book, roughly 8.5 inches by 11.75 inches with 178 pages of heavy, glossy paper stock. While there is a lot of color in each issue, the original images are often black and white… and here they are reproduced beautifully. Another feature that I find very helpful (and which renders the Annual more book-like than magazine-like) is the comprehensive four page index which greatly enhances the Frog Annuals value as a scholarly resource tool. Frog. 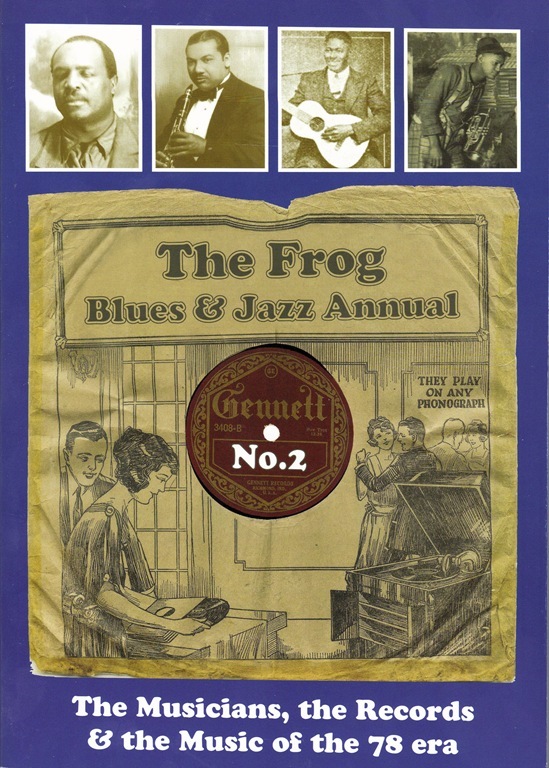 Why are these Annuals titled The “Frog” Blues and Jazz Annual? They are edited (and contributed to) by Paul Swinton, owner of Great Britain’s Frog Records… one of England’s premier prewar jazz and jazz/blues reissue record companies. I have a suspicion why the record company was named Frog, but not wanting to jump to any conclusions, I’ll leave that to Paul Swinton to explain. Here, ripped from the contents page of Annual #2, are a few of the articles and features from among the 30-plus entries. … and 16 additional selections. I’m tempted to elaborate on a few of my favorite articles, but it would be much easier to pick out the one or two which did not hold my interest… but my disinterest in those few articles, I believe, had more to do with my personal tastes than with any deficit in the article’s content. 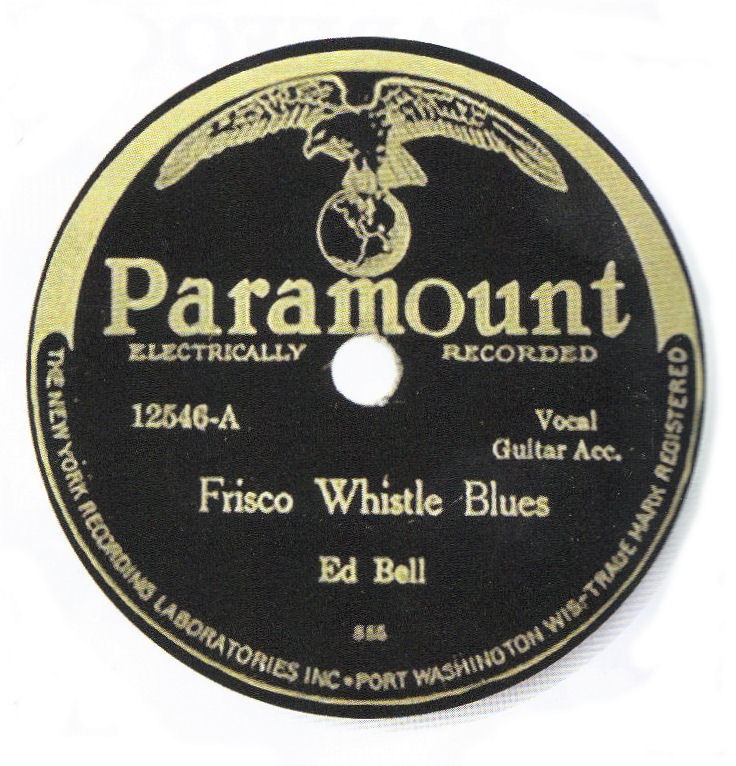 The fact is, the articles are uniformly engaging, they are fact filled and virtually without exception the articles are supported with photographs, discographies, illustrations, graphics and each Annual has something I love… a number of images of 78 rpm record labels. Now for the bad news…. although their cost reflects their quality, these limited edition Annuals are not inexpensive. A quick look at Amazon.com http://www.amazon.com shows that both issues are available, #1 at a cost of $205 and #2 at $70! Keep in mind that Amazon prices change with great regularity. 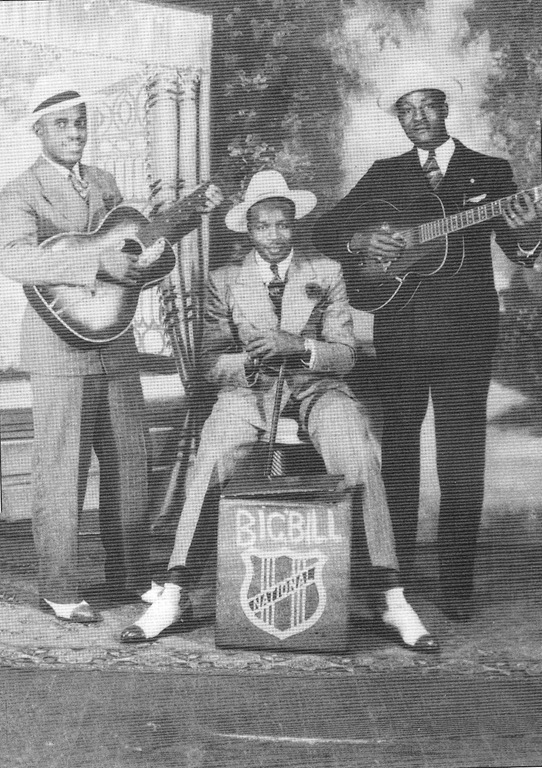 It is actually (L to R) Sonny Boy Williamson, Walter Davis and Big Bill Broonzy. My only complaint… and it’s not about what’s in the Annual, rather, it’s about what’s not in the Annual [ok… this may be like complaining about a Mercedes because it doesn’t fly]; my only complaint – and it’s really more of a wish – is this… I want The Frog Jazz and Blues Annual to become The Frog Blues, Hillbilly and Jazz Annual! 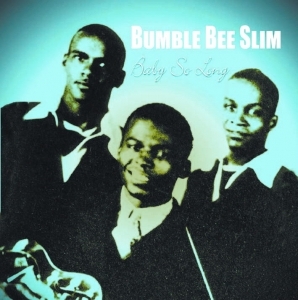 Seventeen years ago, I recall Virginia songster John Jackson telling me that when he would listen to 78s in the 1930s, he wouldn’t know and couldn’t tell who was white and who was black. Years later he was surprised when he saw a photo of Uncle Dave Macon, having assumed he too was black… and the same with Jimmie Rodgers, who Jackson loved until the day he died. 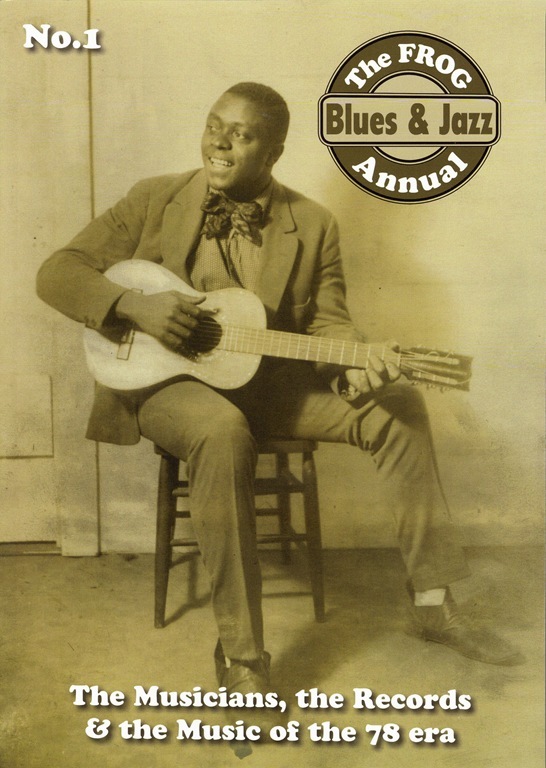 I would argue that in many respects — from instrumentation to lyrical content — 1920-40 blues has as much in common with 1920-40 hillbilly music as it does with 1920-40 jazz. And I’m sure that many fans of American vernacular music would agree …and would love to see old-time hillbilly music covered in the Frog Annual. 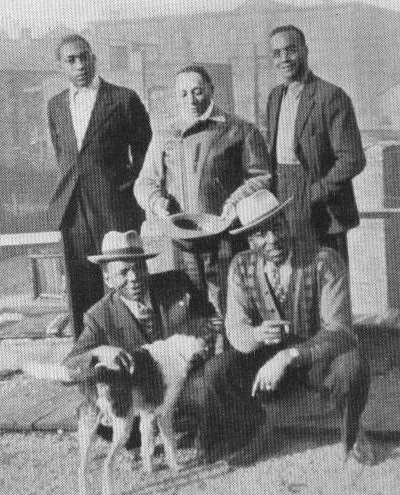 I would ask Mr. Swinton and his contributors to give Dock Boggs, Charlie Poole, Frank Hutchison, Sam & Kirk McGhee, Milton Brown, Ernest Stoneman, The Carter Family, Tom Ashley and Jimmie Rodgers the same loving academic scrutiny they give King Oliver, Barefoot Bill, Sydney Bechet, the Graves Brothers and Robert Johnson. For too long we’ve arbitrarily divided vernacular music along color lines and there is no rhyme nor reason to continue with the practice. Granted, many if not most of us have musical genre we are most deeply interested in… for me it’s prewar blues, string band and old-time hillbilly music – but that doesn’t mean that I don’t enjoy Frenchy’s String Band, Louis’ Hot Five or Curtis Mosby’s Blue Blowers ….and I dare say that many prewar jazz and blues fans regard old-time hillbilly music similarly. …that said, please pay little or no attention to my wishful whining about genre inclusion and treat yourself to these magnificent Annuals today – they are terrific! Images and media content: The large majority of images and media content are from my personal collection, these are noted with a “/bb“ at the end of the title when hovering over the image. Inaccuracies, corrections, feedback or additions? Please let me know! Thanks for your comments re. the line-up in the Frog Annual photo I used in my review. I ran your concerns past Frog Annual editor Paul Swinton and I think you might be interested in his comments. I see what you’re saying… the photo of Bill Gaither on Document CD 5252 is clearly taken from the photo that appears in the Frog Annual. In light of Paul Swinton’s comments below, that begs the question, did Document use an accurate photo on their CD 5252? …as to the ‘Bill Gaither photo’. I believe the original photo is in the possession of Larry Cohn and, if I remember rightly, Larry told me it had been given to him as a gift by Frank Driggs. There was never any accredited personnel or accurate date attached to the photograph and it has long been thought that, like so many other pictures, historical ‘facts’, recording dates etc the incorrect detail had been attributed to this photograph by some early unknown, well-meaning ‘researcher’. Without wishing to cause any offence to many of my friends – Paul Oliver was probably the first person to publish it using the ‘incorrect’ line-up and the ‘guesstimate’ was repeated ad hoc by Johnny Parth at Document and others. However, Tom Willis found a Sonny Boy Williamson newspaper ad with the headshot from this photo. And Michel Chaigne, Pete Whelen and others had already correctly (I feel) identified Williamson by comparison with other known photographs of him (one with harp in hand). 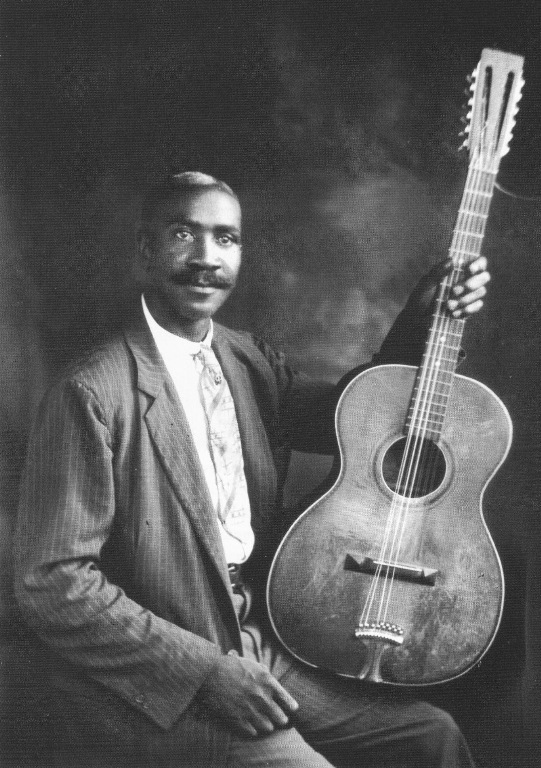 … I believe, as does the present owner of the pic and practically everybody else I know that has made the comparisons – that the latest thinking is much more likely to be correct especially in the case of Sonny Boy Williamson over Gaither. Most of what is written above will appear in ‘the corrections, additions and suggestions’ of ‘Who’ll Be A Witness?’ planned for Annual No 3. If you would like to add anything to this (or any other matter come to think of it) I’d love to hear from you. “Hallelujah!” Updates… Gus Cannon Verified? Frankie Jaxon Nixed? VERNACULAR :: SHELLAC · 78 rpm records… 78 era music!